So, you’ve just had your car re-painted and the results are nothing short of spectacular – but are you worried that the brilliant shine and radiant colour you’ve fallen in love with might fade over time? 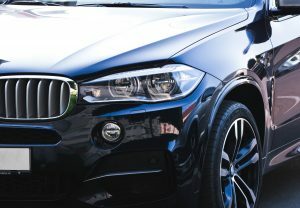 Well, sadly, most car paints probably will deteriorate with age, especially when they’re exposed to sunlight (the UV rays can be quite damaging to car paint), salt in the air (especially if you live in, or frequent coastal areas), and abrasive cleaners – is your car cleaner of choice ruining your paint job? To keep your car protected, and to maintain it’s bright hue for years to come, it could be worth investing in paint protection. For the low-down on everything you need to know before opting for a high-quality paint protection product or service, read on! What Condition is Your Car, and its Paint in? If your car is in perfect condition and its paint has no chips or scratches, it will be a prime candidate for paint protection. However, if your car is damaged at a superficial level, to achieve optimal results from a paint protection product, you will need to repair the damage first. Will You Need to Re-Apply Further Down the Track? When you apply a paint protector or you have a specialist apply paint protection to your car for you, make sure you keep the product details handy, as you may need to re-apply at a later date. If you have an accident, or for whatever reason part of your car needs to get re-painted, you will need to re-apply the protection product. You might also notice that the effectiveness of the paint protection starts to diminish after a long period of time has passed. If this is the case, to continue enjoying the benefits associated with paint protection, knowing what product you used will make the re-application process much easier. Good quality paint protection will create a force field between your car and damaging substances, such as tree sap, bird and bat droppings, and eggs. It will even help protect your paint job against the UV rays and salty air; but it’s not bullet proof. Paint protection won’t protect your car against dents, scratches and purposeful abrasions, or any form of chemical spill, as it’s designed to protect your car’s paint job against every day wear and tear. When combined with gentle cleaning products and responsible ownership, paint protecting products will help ensure your car paint stays looking fresh much longer than it would if it was exposed to the elements with no protection. For more handy advice on what products will achieve the best results, or on the benefits of paint protection, contact Bodyshop Paint Supplies today.